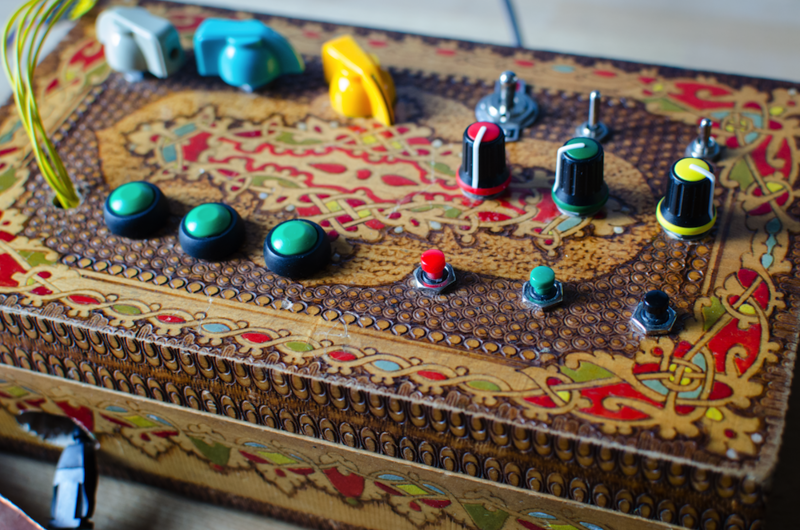 As the title suggests, this is a MIDI controller built into a cigar box. 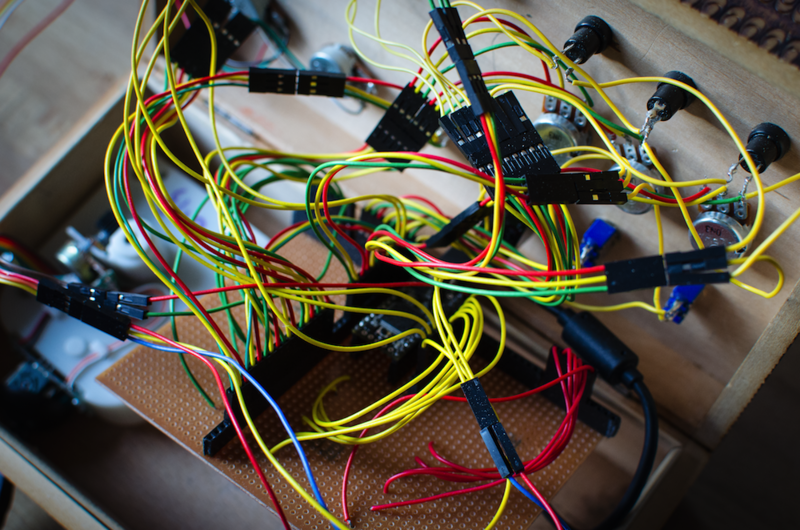 It has gone through several iterations, the current version features 6 potentiometers, 6 buttons, 3 toggle switches, a Gametrak string controller, and a breakout board for five capacitive touch note switches. 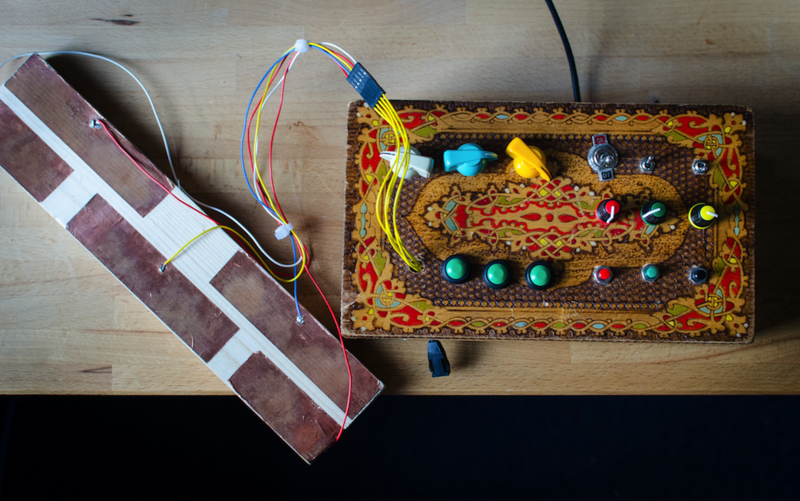 Inspired by Hugh Jones’ gorgeous boxes, I built this one primarily as a live interface for performance after breaking several controllers over the course of a few years playing with Matthew Herbert + co.
For the code I used in this box, see the Teensy USB MIDI Controller page. It’s a bit rough, but I’m pretty pleased with it! 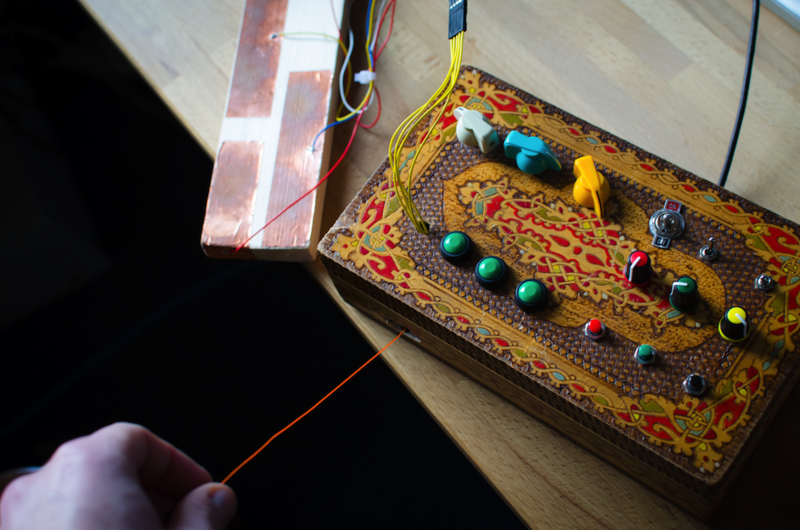 It’s loads of fun to play, certainly much better than an off-the-shelf controller (and probably cheaper too…).